At Kellis Eye & Laser Center, the goal of oculoplastic surgery is to restore or enhance the normal structures of the eye, resulting in an improvement of patient appearance and self-esteem. Dr. Kellis, Dr. Johnson, and Dr. Ryder believe in a tailored approach to fit each individual patient’s needs and goals while maintaining the strictest standards of eye care excellence. 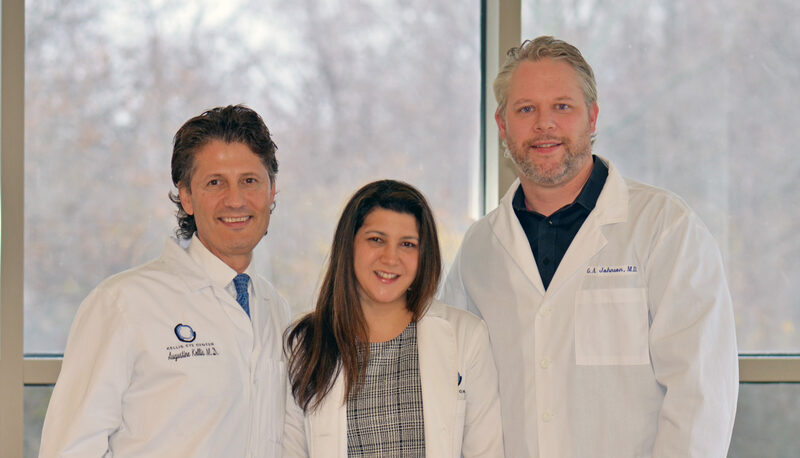 An oculoplastic surgeon completes four years of pre-medical studies, four years of medical school, one year of internship in general surgery or medicine, and a three-year residency in ophthalmology to become a board-certified ophthalmologist. A one to two-year fellowship in Oculoplastic surgery follows. Where the complicated structures within and around the eye, eyelids, brows, and orbit (the bony socket) are studied and surgical techniques are mastered. What is blepharoplasty? Pronounced blef-ah-ro–plas-te, this is a type of plastic surgery that is performed on the upper or lower eyelids to remove wrinkles and bulges from around the eyes. Sagging eyebrows or eyelids may be corrected at the same time. Why is blepharoplasty done? Blepharoplasty is done to improve visual function and/or cosmetic appearance. Excessive upper eyelid tissue can block the upper part of the visual field. This can be determined by lifting the upper lids with your fingers to see if the upper visual field improves or vision “brightens.” A formal visual field test may be helpful in this situation. The weight of the excess skin can cause eyelashes to turn in and irritate the eye. An excessive number of wrinkled skin folds above the eyes can produce a sagging, tired look that detracts from one’s appearance. In this situation, blepharoplasty may be considered for cosmetic reasons, even though vision is not affected. Because blepharoplasty can affect the function and lubrication of the eye, a consultation with an oculoplastic surgeon, who is a fully trained ophthalmologist, is important. An oculoplastic surgeon is the only surgeon trained specifically to treat the eye. He or she is uniquely qualified to help you decide whether to consider this surgery. After the amount of skin and fat (wrinkles and bulges) to be removed has been determined, upper and lower incision lines are marked along the natural skin creases. Incision lines are generally extended into the “crow’s feet” at the outer edge of the eye so that once healed, the incision lines are less visible. The excess skin and fat are removed and a taut, natural lid crease is reformed by closing the incisions. Eyelid surgery has been greatly improved by advanced techniques involving the CO2 laser. This laser minimizes bruising, swelling and recovery time experienced with older techniques. In the upper eyelid, the CO2 laser is used to remove the excess amount of skin and fat along the natural eyelid crease line. Once healed, these incision lines are not noticeable, because they are hidden in the natural crease of the eyelid. In lower eyelid surgery, the lower eyelid incision is made on the inside of the eyelid, enabling the oculoplastic surgeon to remove excess fat without an external incision. Depending on the patient’s particular condition, the CO2 laser can then be utilized in the resurfacing mode to smooth out all fine lines and wrinkles on the lower eyelid.